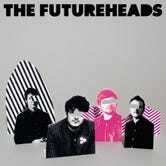 Overshadowed by their compatriots Franz Ferdinand, The Futureheads were barely noticed in the United States when their debut album dropped. Which is a shame because this cover of Kate Bush's Hounds of Love is amazing. SOUNDTRACK is a sample of what the Gizmodo crew is listening to today. Got an awesome song you want to share with us? Send it our way!